When You Shop Here, You’ll Feel Right at Home. Shopping for your new furniture can be a fun, exciting experience. Here are a few thoughts from the American Furniture Manufacturers’ Association that can make shopping even more enjoyable. While you’re at Brown Squirrel, you’ll find our sales staff helpful. You’ll also notice they stay out of your way so you can shop at your leisure. They are glad to answer your questions—when you want them to. Come by and see for yourself. Identify your personal style. Is it casual, contemporary, country, traditional or eclectic? Think about your wardrobe, your car, your magazines and favorite movies. What makes you feel comfortable and good about yourself? Examine your preferences. Make a list of your favorite colors, textures and patterns. Do you prefer bold colors or pastels? Solids, stripes or plaids? Soft, light fabric covers or rich tapestries? Consider your lifestyle. Do you plan to have a family or already have children? Pets? Are you planning to move soon? Budget your time to suit your shopping style. Do you enjoy doing lots of research and browsing, or are you an on-the-spot buyer? 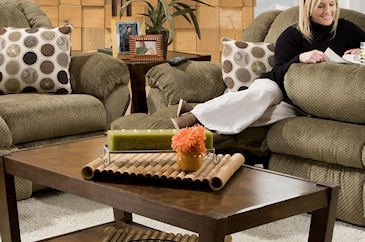 Shopping for furniture can be as easy or involved as you want it to be. Explore available resources. Look to home programs, books, magazines, catalogs, Web sites and furniture showrooms to provide inspiration. Keep a scrapbook of furniture styles you like. Misprints and pricing errors. On that rare occasion when there is an obvious pricing error online, we will attempt make to sure that you are adequately compensated for any inconvenience, but we cannot be held responsible for misprints. Trust your own judgment. Buy what you like, and don’t be afraid to be bold or different.